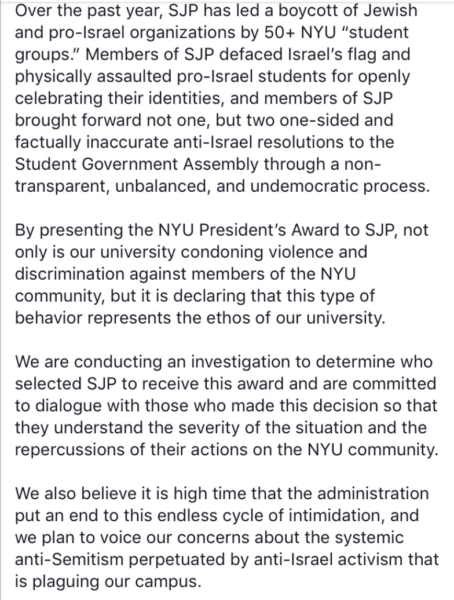 All colleges are hotbeds of left-wing hate and bigotry but NYU is at the forefront of norming Jew hatred. They set an horrifying precedent with this incomprehensible award given, no less, at an enormous graduation commencement ceremony at Yankee Stadium. 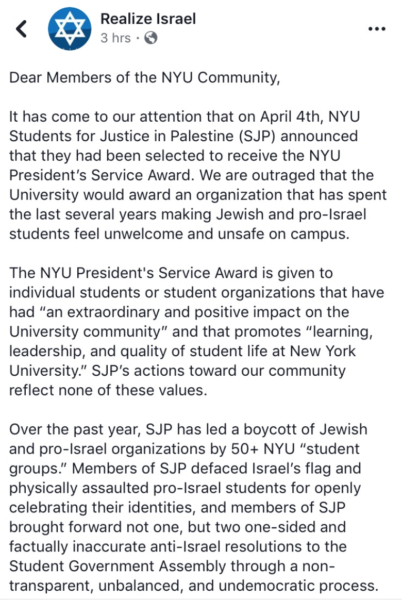 Students for Justice in Palestine is the largest anti-Jewish student group in the country.